The next-gen version of this year's Tomb Raider will be sold at twice the current price of this generation's edition - and Crystal Dynamics says that's just how it has to be. The Tomb Raider reboot had a lot of incredible technology under the hood, pushing the limit of what this generation of gaming hardware could do. 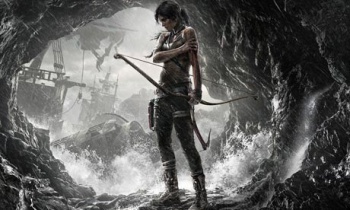 Lately, developer Crystal Dynamics has been working on updating the game for re-release on next-gen consoles as Tomb Raider: Definitive Edition. HD remakes are nothing new, of course, but fans are peeved that the Definitive Edition will be sold for $60 at launch, when it's essentially a year-old game. In response, Crystal Dynamics has explained that the tech has been tuned up with next-gen power - but is that tune-up worth the cost? Crystal Dynamics executive producer Scot Amos took to the Eidos forums for a Q&A, and was asked if it was justified to charge full price for a "facelift." "If it was 'only a facelift' AND we were only reselling it on the same platforms we'd already shipped on, I would see your point," Amos replied. "But as we're selling it on a new platform, with a lot of development work put in to custom craft it for the new platforms; with the new additions for the aesthetic, the physics, the particles, the lighting - taking advantage of next-gen features - so I absolutely stand by our decision to offer up Definitive Edition the way we are." Tomb Raider: Definitive Edition includes a handful of bonus content: namely, all the DLC and some digital art and documentaries. The DLC is almost entirely multiplayer-focused, so single-player gamers (or multiplayer gamers who already bought the DLC during the game's heyday) will find little new here. The new technologies are interesting, but it's up to gamers to decide if marginally better graphics are worth an extra $30 compared to the game's current-gen pricing.